Roy Tate was born on 2 January 1918 in Starkville, Mississippi and grew up in a farming family. Following graduation from Mississippi State, Roy Tate was commissioned a second lieutenant in the Army Coast Artillery. 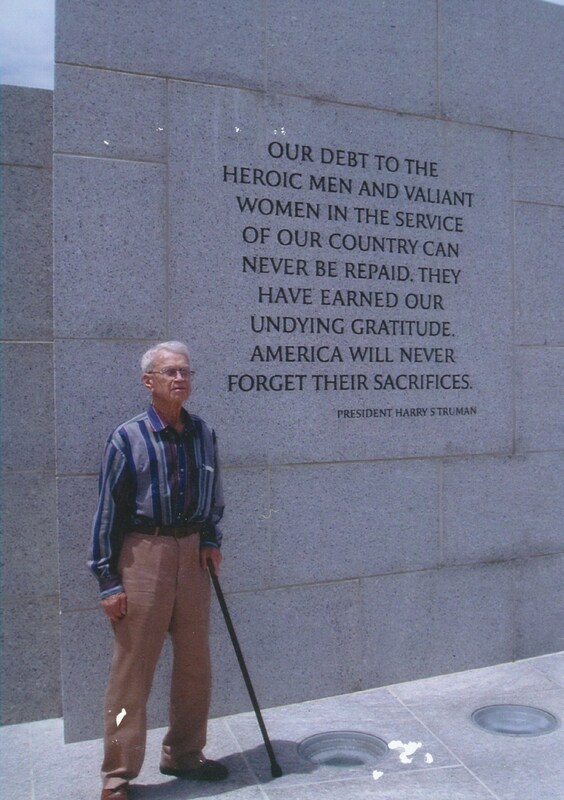 In WWII, Lieutenant Tate crossed Normandy Beach with his 390th AAA Battalion. 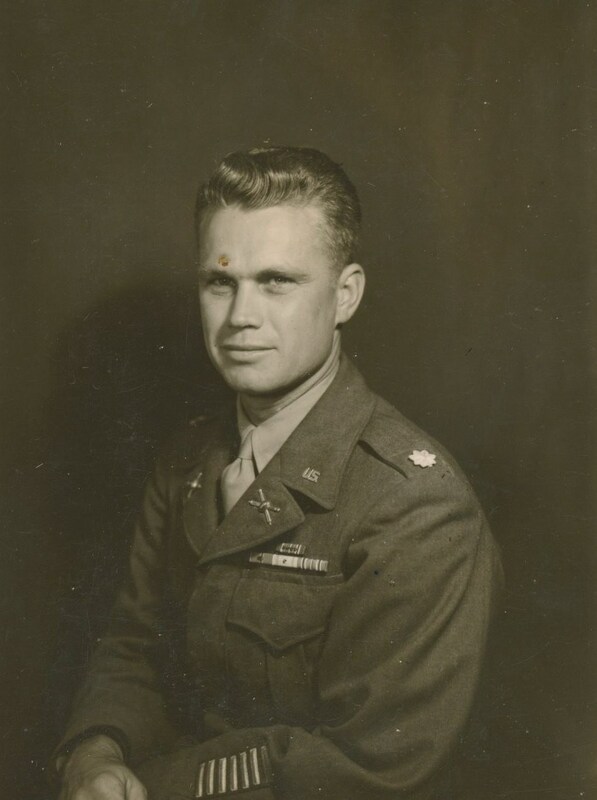 Lieutenant Colonel (Coast Artillery Corps) Roy A. Tate, was serving as Commanding Officer, 52d Anti-Aircraft Artillery (Automatic Weapons) Battalion (Self Propelled), 24th Infantry Division, in action near Pamsong-gol, Korea, on 15 October 1951. On that date, one battery of Colonel Tate's Battalion was assigned the mission of supporting infantry units attacking Objective Dog. As four half-tracks opened up on the enemy positions, they were immediately subjected to concentrated enemy mortar and artillery fire. With complete disregard for his own safety, Colonel Tate moved forward through the murderous hail of enemy fire to join the unit and direct the fire and maneuvering of the vehicles. During this action, he was hit by shrapnel, but resolutely he continued to supervise the destruction of enemy bunkers and heavy weapons positions, inflicting heavy casualties upon the enemy and proving of great benefit to the Infantry. On one occasion, despite the extreme pain of his wounds, he fearlessly advanced on foot to personally reconnoiter a safe route through a heavily mined area and to select advantageous positions from which the half-tracks could deliver more effective fire. Colonel Tate's courageous action, selfless devotion to duty and exemplary leadership contributed immeasurably to the success of his unit's mission. His gallant actions and selfless devotion to duty, without regard for his own life, were in keeping with the highest traditions of military service and reflect great credit upon himself, his unit, and the United States Army. 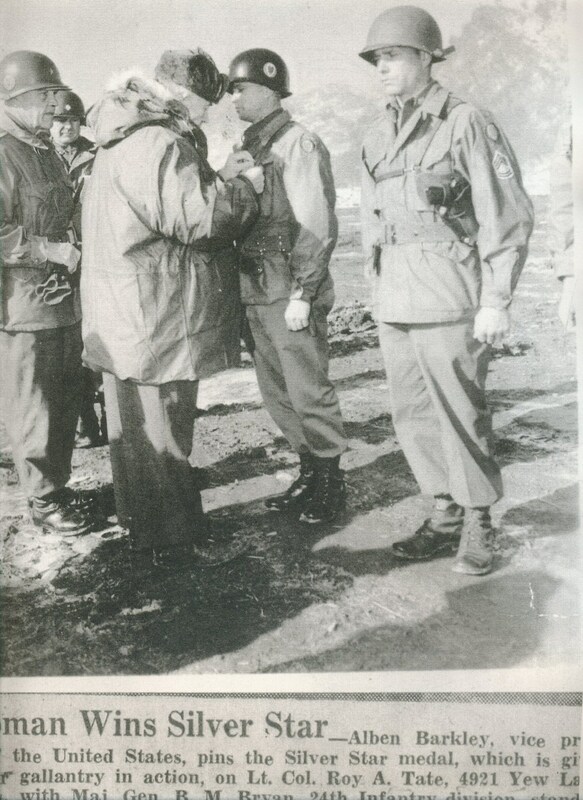 For this action, LTC Roy Tate was awarded the nation's third highest award for valor, the Silver Star Medal, for gallantry in action in Korea. He also received the Purple Heart Medal for wounds received during this action. Both of these medals were presented to LTC Tate by Vice President Barkley. Retiring from the military, Roy Tate continued his contributions to his nation by working on the highly successful design and construction of the Lunar Rover in the Saturn V program. He then returned to his farming roots in Tennessee, Mississippi and Alabama. 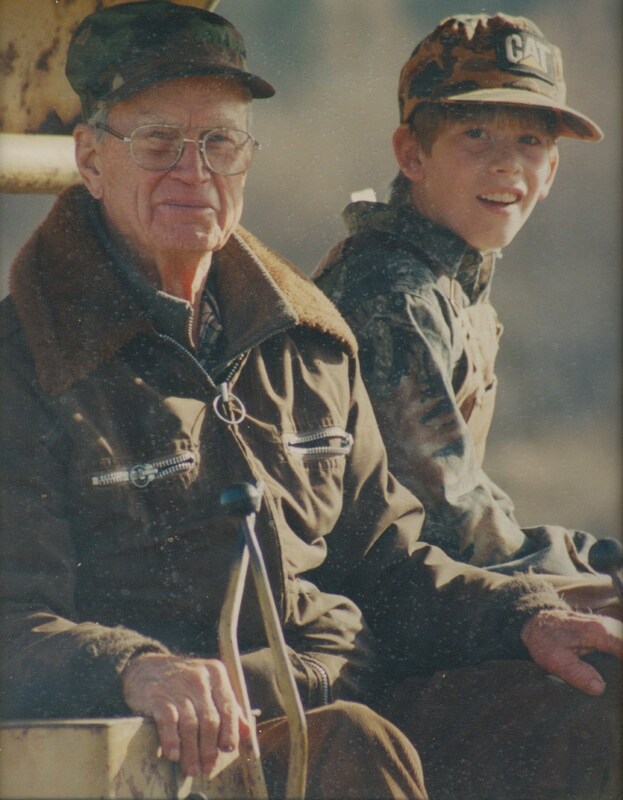 While a long time resident of Huntsville, he was elected to President of the Madison County Cattlemen’s Association, and proudly inducted into the Madison County Military Hall of Heroes. 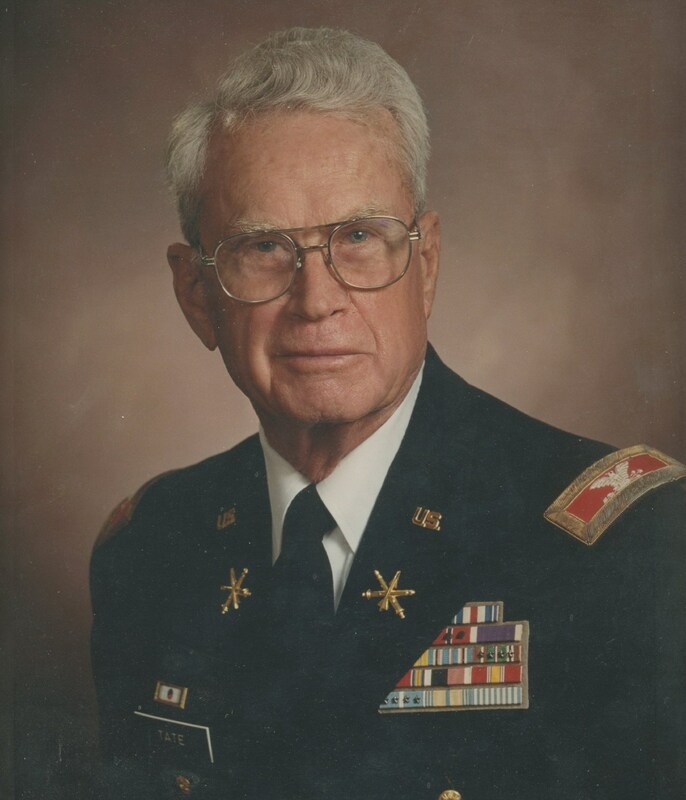 Colonel (Ret) Roy Askew Tate, 93, passed away quietly at his home in Cullman County, Alabama, Thursday, February 10, 2011.